As mentioned before, in the original Planescape Campaign Setting boxed set, members of each Faction were granted special abilities. In the Factol’s Manifesto, these were expanded to grant stronger abilities to higher ranking Faction members. But what about the power of belief outside of the Factions? The Planewalker’s Handbook contains an interesting 5-6 page section on the power of belief and introducing a Belief Point subsystem for putting this into action. Although I am hesitant to introduce another subsystem and resource to manage into the nicely streamlined 5e, it is interesting that there are elements of it that are clear predecessors to 5e backgrounds and inspiration. 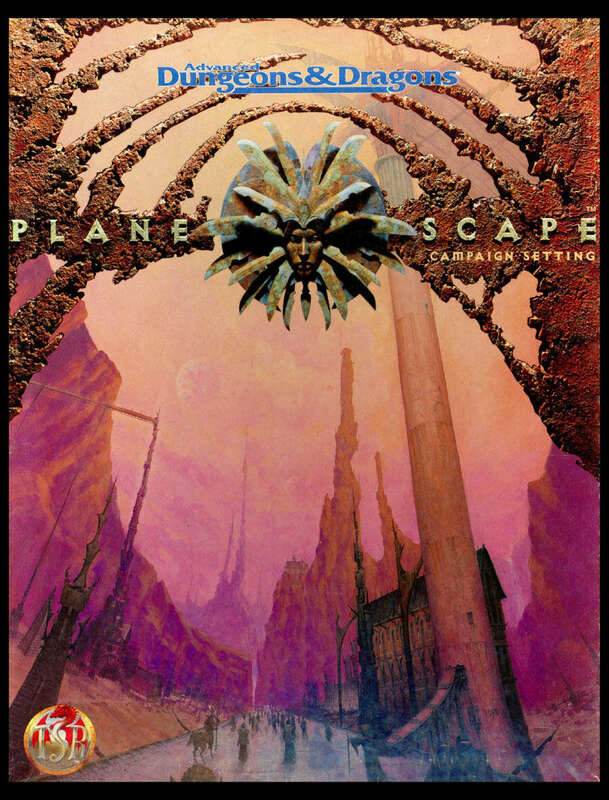 I think there could be some interesting ways to incorporate them together to make belief a tangible, useful feature of 5e Planescape games. The beliefs PCs need to select should be specific and not overly vague. For example, a PC can’t have a belief in “justice.” The Planewalker’s Handbook lists several examples of what it considers beliefs. The powers are evil, and priests should not be tolerated. These are extremely similar to 5e Ideals! So, one way to move this to 5e would be to expand the role of Ideals in play, including having a player choose 3 or 4 to show a range of beliefs. So rather than only from their background (or in rare cases, their race), there could be many lists of possible Ideals. Deities could have a list of sample beliefs that their followers could select from. Faction would definitely have a short list of beliefs that align with that Faction. Perhaps even cultures/nationalities could have them, and so on. A player could choose 3 or so from any of those lists, or simply make up their own as long as they are appropriately specific. In the original Belief Point system, it recommends that DMs grant belief points very rarely, suggesting characters very strongly playing out their beliefs gaining 3-5 per level at most, and an average character maybe in the range of 0-3 per level. How they are awarded is if a PC adheres to their belief (through specific action, not just giving lip service to them), they gain 1 belief point. If they do so at a cost to themselves, they gain 2 belief points. If they do so at extreme cost to themselves, it is 3 points. Points should be awards at the end of game sessions (and many sessions having no points awarded), and only for how they did overall in that session. So if they adhered to their beliefs without any rest cost to themselves multiple times in a single session, then they still only get 1 point. Creating a system like this in 5e has a lot of things to work out. First off, it is similar to Inspiration being granted by DMs. That avoids much of the resource tracking by just having it be an on/off binary thing where you either have it or you don’t rather than tracking some number that you have to spend. What players can spend them on, and how much of a benefit they can gain from them will be the largest indicator of how free or stingy we might want to be. Plus, something to keep in mind is the fuzzy nature of a “session.” When groups can get together once every month or two for a massive day long game session, or groups play-by-post on messageboards, the traditional “4 or so hours once a week” idea of a game session doesn’t apply to everyone. It still can be a useful unit of time to consider, but a growing number won’t fit into that classic idea, and so should be kept in mind. Another issue to consider with 5e Inspiration is that A LOT of DMs (myself included) have enough going on that we often completely forget about it! It’s a strange conflict in that 5e Inspiration is a system that I think is absolutely great but also wind up nearly always forgetting that it’s there! Also, others have pointed out that even if it is a reward for acting out your character’s personality well, the effect is actually removed from that action. So, say, you do something that really exhibits your Flaw very well. The DM rewards you with Inspiration. Then, sometime later, in a completely unrelated action you get a bonus of advantage on your roll. The action you get advantage on might have nothing to do with your Flaw or Personality or any of that – you just needed a bonus. Maybe that’s not a big deal to you, but if we want some sort of Belief System in 5e, it would be nice to have those tied closer together. So when you act on your beliefs, that action gains the benefit of your power of belief, not some unrelated action later. Even the original Planewalker’s Handbook version didn’t address this, so it might be better left open. But we’ll see. The other original use for Belief Points is to ask the DM for an answer to a question. The original version explains this as “Question topics could include the location of a portal, individual, or item; the physical nature of an area (particularly relating to potential hazards); the type of creature that inhabits a given area; or even what an enemy’s next move might be.” It’s interesting that they would consider this at least 3 times more powerful than an automatic success, but at least the automatic success presumably could have been successful with a lucky roll, whereas this seems to be more along the lines of gaining information the PC would likely never be able to have otherwise. The book even notes that the DM can deny the request if it would spoil the adventure (and obviously points aren’t spent) or even require a higher cost! Although not in the original system, another use could be to power Faction abilities. Rather than simply granting PCs these extra abilities once they start paying their dues, they could possibly use them as an additional resource and spending these points allows them to use certain abilities. Maybe it costs a belief point each use if it is particularly strong, or spending a belief point allows access to the ability for 24 hours/until long rest/etc. This list could be expanded beyond just Faction abilities, as well, but that would definitely require a lot of thought. Extra Ideals – Players select 3 (or 4?) Ideals possibly including ones related to their Deity or Faction or Race or Culture, etc. DMs are encouraged to grant Inspiration for any time a PC adheres to their belief. Ideals and Advantage+ – The same as above with selecting additional Ideals, but when a PC adheres to their belief at some sort of cost to themselves (either directly being seriously harmed or high likelihood of harm, passing on an opportunity that leads to missing out on treasure or some such, etc. ), the DM can grant the player Belief Inspiration (which works like normal Inspiration but grants what I called Advantage+ above) which the player can use on a roll related to that action or save it for some future action. I don’t know. I’m still toying with a lot of thoughts. 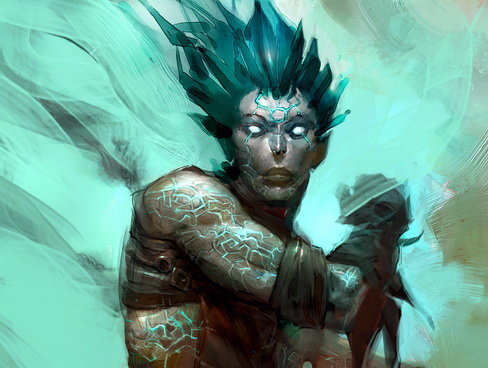 At the very least, I really think Planescape campaigns should make a much larger use of Ideals for PCs, and I plan on including possible Ideals to select for each Faction and Race and so on. 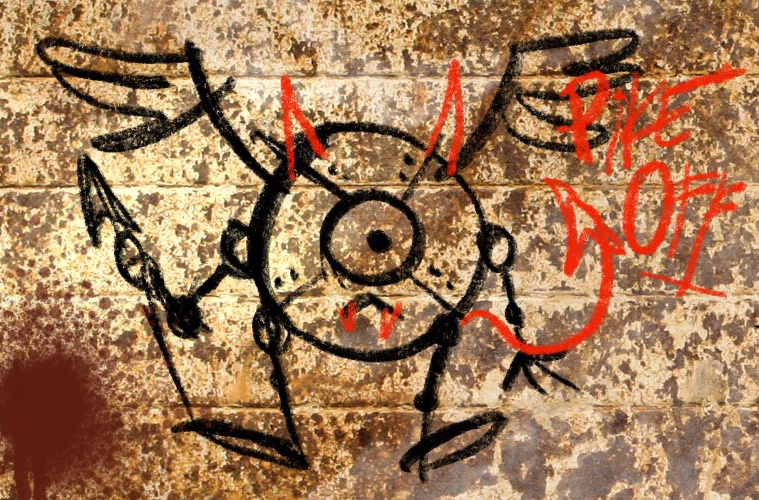 Also, as I work through each Faction, I will consider if the powers worked off of a Belief Point resource, what they would look like. After working through some of the Factions, hopefully I will have some clearer thoughts on what will and will not work rather than a bunch of ideas with few conclusions.